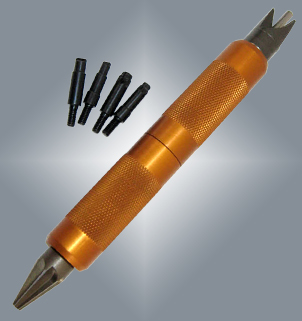 Lyman's Unique New Case Prep Multi-Tool provides the reloader with all the essential Case Prep Accessories in one compact, double-ended storage tool. Unique handle unthreads in the middle to store all parts. Both ends of the handle are threaded to allow two heads to be mounted simultaneously.